Highlight just how amazing your company is with this Adjustable Lamp with Dimmer! 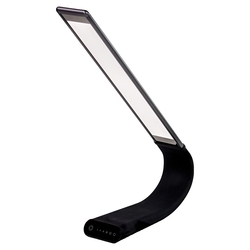 The built-in high efficiency 2000 mAh polymer battery power supply lasts up to 30 hours per charge. The lite touch switch provides one-finger light and dimming control for easy use. 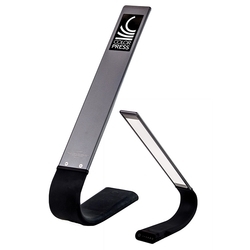 The lamp arm can be freely adjusted to any angle, creating a flexible light solution for users who move around while studying or reading. 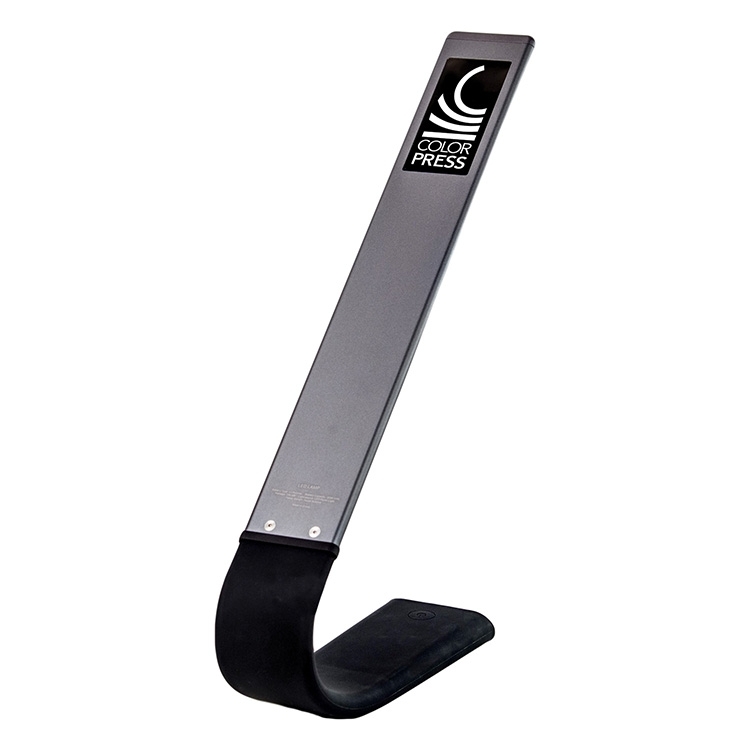 A wireless solution to stationary desk lights, this is a promo tool that's bound to take your brand to new heights! 10 pcs. per case / 25 lbs. 2000 mAh Li-Polymer Battery charged with provided USB cable. Approximately 24 hours of continuous lighting. Charge time 2-3 hours. 3W. 3 settings for color temperatures: Warm White (3100K), Neutral White (4200K), Cool WHite (5400K). Dimmer for all settings.